is a term from art history that goes back to a century old tradition and is a fascinating way of colour enhancing and individually designing jewellery. The brilliancy of the colours in combination with precious metals can accentuate the beauty of precious stones and pearls even more. 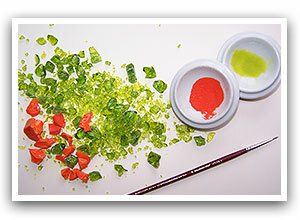 Enamel is a glass substance which is created by the melting together of assorted materials at high temperatures. 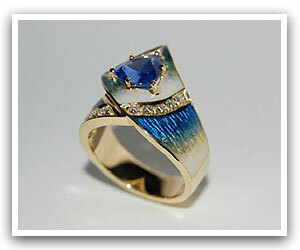 The colour of the enamel comes from a variety of metal oxides that are added to the glass substance during the making. When ground to powder it can be applied to metal by using different techniques. Both components are fused together in the enamelling oven at firing temperatures between 700° C and 900° C.
transparent - transparent/translucent, the metal base is recognizable. The colours are comparable with those of precious gems. opal - shimmering, semi-transparent, opalescent shine. 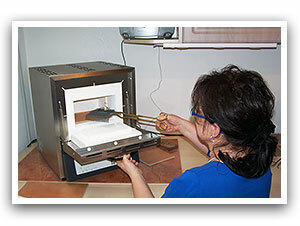 Various techniques can be used when enamelling, each of them have there own individual appealing features to offer and can also be combined. Different metal and work preparations are necessary depending on the technique. 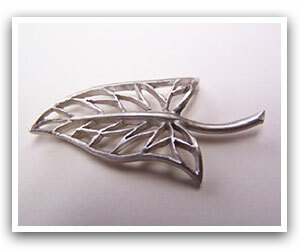 small parts of the metal are etched, milled or burred and then filled with enamel and fired. The metal base can be engraved or structured using other metal processing techniques prior to the enamelling; this gives transparent and opalescent colours a nice structure and brightness. clear like a glass window. The enamel mass does not adhere to a subsurface but rather to the edges and rises of the cells that were cut out and/or designed aforehand. 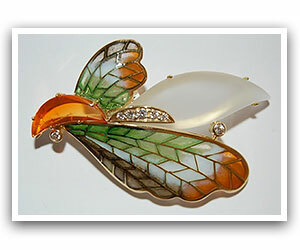 The variety of colours and techniques offers uncountable possibilities of designing a piece of jewellery - according to one's own individual taste - making each piece precious and unique.